Colonel Warren H. Wiedhahn served thirty-three (33) years of active duty in the Marine Corps, and is a veteran of both the Korean and Vietnam Wars. He has been awarded the Silver Star Medal, the Legion of Merit with Combat “V” and a Purple Heart in addition to numerous other decorations. 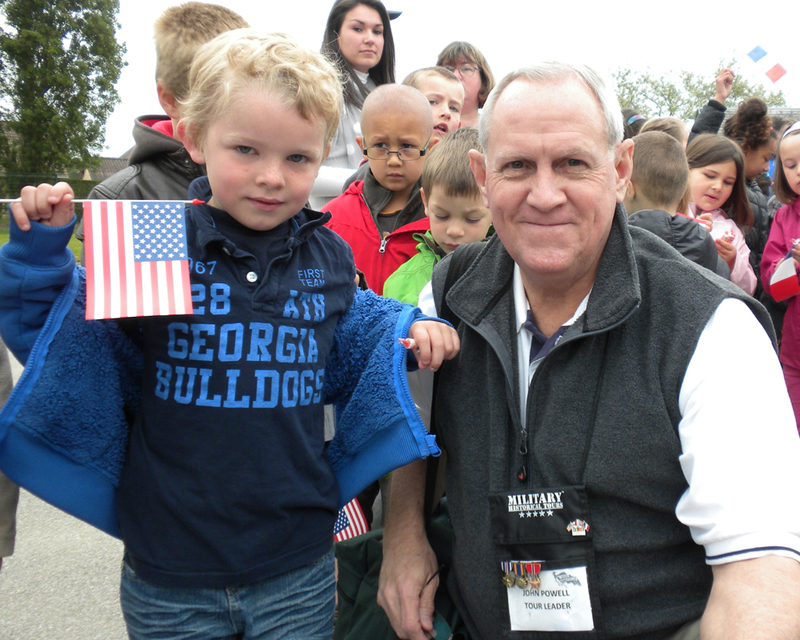 Colonel Wiedhahn retired from the Marine Corps in 1982 and, after several years of working with trade associations, founded Military Historical Tours (MHT) in 1987. MHT is now the premier military historical tour company that takes veterans, their families, military educators, students and historians to the battlefields of the world. John W. Powell joined Military Historical Tours in 2002, after retiring as the National Membership Director of AMVETS, a veterans’ service organization. Prior to that he had spent ten years as a manager with the Hershey Chocolate Company and is a retired US Army Lieutenant Colonel. He is a Vietnam veteran having served with the 1st Cavalry Division as a helicopter pilot. LTC(R) Powell’s military decorations include two awards of the Distinguished Flying Cross, two awards of the Air Medal for Valor, the Vietnamese Cross of Gallantry, the Bronze Star, three awards of the Meritorious Service Medal, the Legion of Merit, and thirty-three (33) Air medals for combat air missions. LtCol Raul "Art" Sifuentes, USMC(Ret) is responsible to develop new business opportunities for MHT. Art is a Vietnam Veteran who flew UH-34s in I-Corps with the "Evil Eyes" of HMM-163 in 1966-67. Upon retirement Art was Excutive Director of Marine Corps Avaiation Association. Anneli Barnes is the Director of Accounting and been with MHT for 10 years. 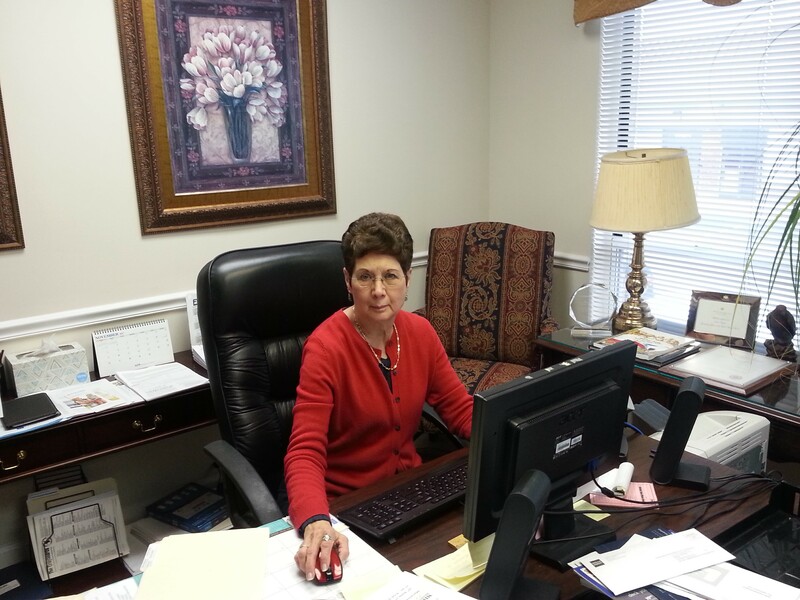 She has improved MHT’s financial operations and is a valuable member of our team. William “Bill” McCulloch is a 1977 graduate of the U.S. Naval Academy, Annapolis, Maryland. 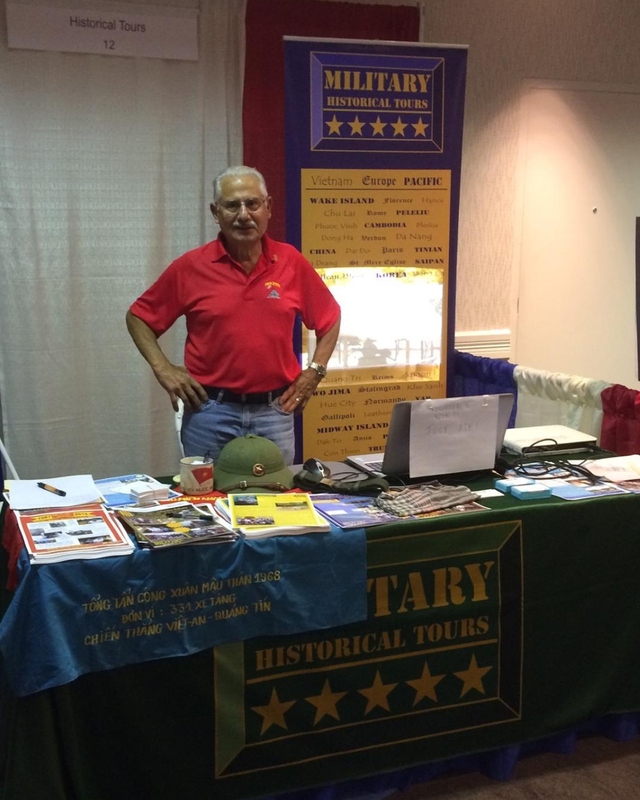 Bill joined Military Historical Tours in 2004 as the Director of Sales and Marketing . He was a career Artillerymen with tours with 10th & 12th Marines, The Basic School, MCRD Parris Island and was a Commander of Troops with 26th MEU. He retired as a Major from the Office of the Assistant Secretary of the Navy for Manpower & Reserve Affairs and was a High School Math Teacher for seven years before joining MHT. Bill is still involved in his community as one of the most respected high school lacrosse coaches in northern Virginia. Besides his Sales & Marketing responsibilities he has been a Tour Leader to Iwo Jima, Korea, Okinawa, Hawaii, Midway, Turkey and China. He is the recipient of the Meritorious Service Medal and Marine Corps Expeditionary Medal. James “Jamie” Warren Wiedhahn came to MHT in 1995 part time while rehabilitating from a serious cycling accident while training for the US Cycling Team. After his recovery he started again to train for the US Team, but was hit by a drunk driver which ended his cycling career, but continued his career with MHT. 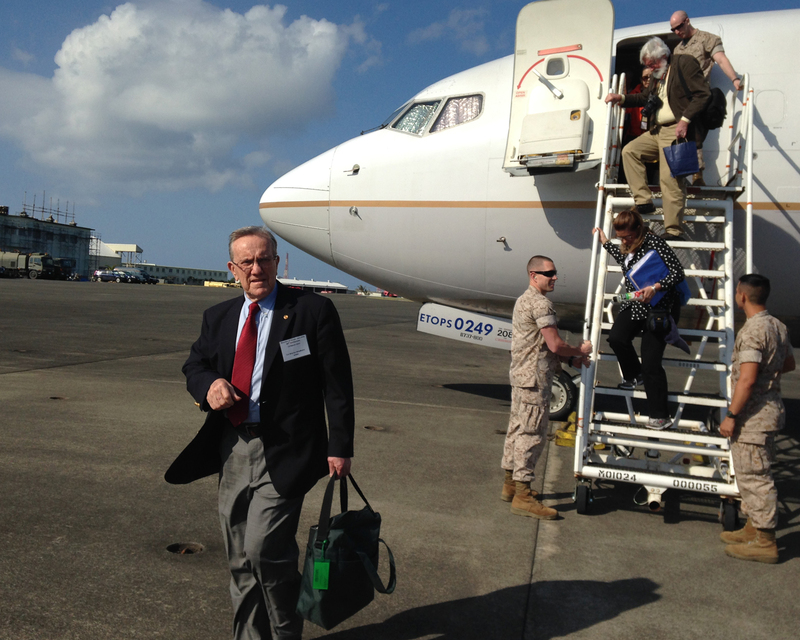 Since his first trip in 1995, when he accompanied veterans back to Iwo Jima for the 50th Anniversary of the battle to today, Jamie has led trips to China, the Philippines, Korea, and Guam. 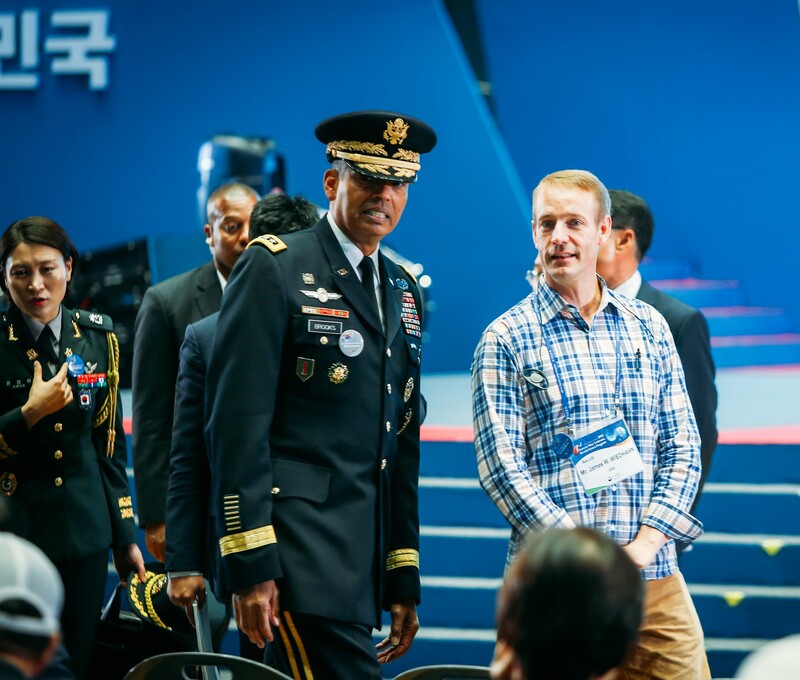 He is also experienced in Europe and Vietnam, but is primarily involved as the Director for the Korea Revisit program, working closely with the Korean War Veterans’ Association and the Korean government. Shayne A. Jarosz graduated George Mason University in 1989 with a degree in history after having served three years in the Marine Corps. Shayne pursued his love of history through an over twenty year career teaching history in the Fairfax County Public High School system. He joined MHT in 2008 and now heads up the educational tour program as well having developed MHT’s new diving tour program. 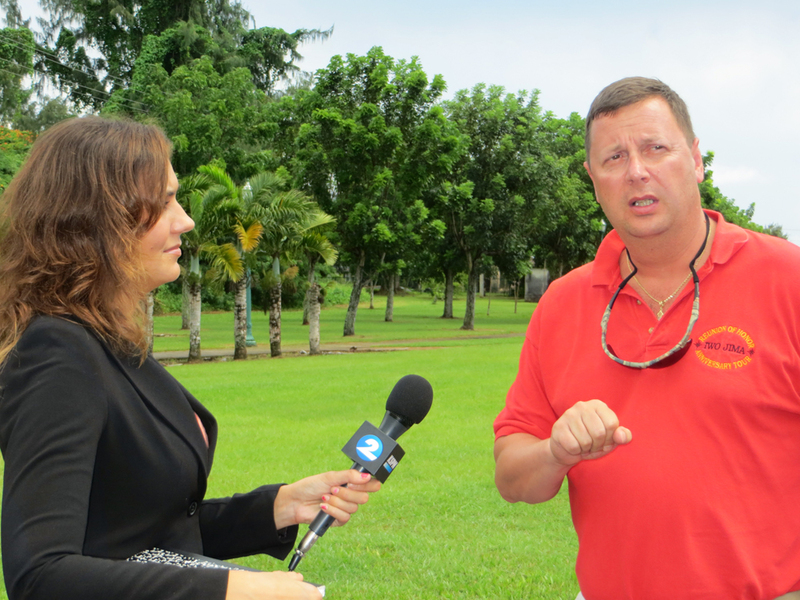 Shayne has led tours throughout the Pacific including Guadalcanal, Guam, Saipan, Tinian and Iwo Jima. Pam Lawrence is the Director of MHT's Administration. 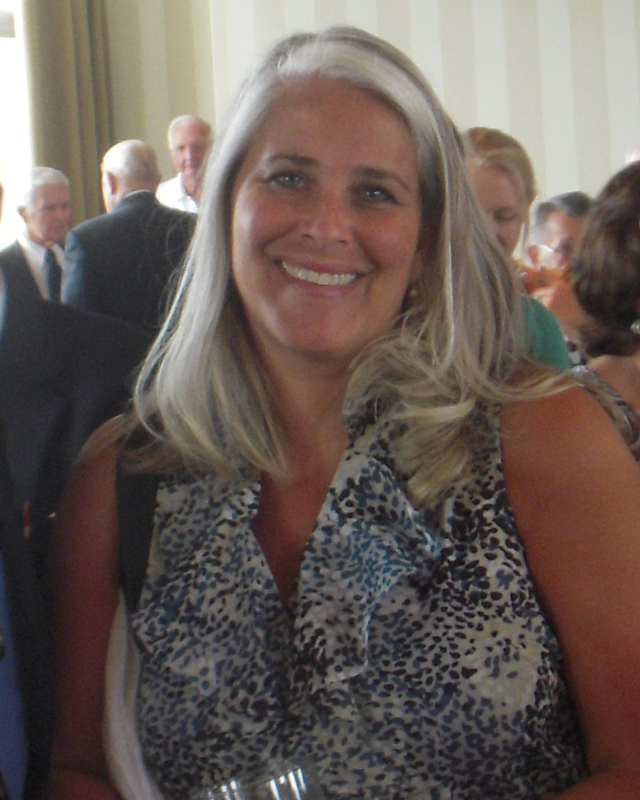 She joined MHT from the Marine Corps Aviation Association and prior to that was the Admin Czar at the Marine Corps Base Quantico Weapons Training Battalion Ranges where she earned the nickname “Shooter!” She has worked to upgrade MHT’s attention to detail in paperwork and streamlining the admin process.